The Russian Defense Ministry said the US military instructors have been spotted in the combat zone in eastern Ukraine, training the country’s National Guard in the field, despite promises to hold the exercises at a remote range in Lvov. Defense Ministry spokesman Major General Igor Konashenkov slammed Washington’s claims of increased presence of Russian air defense units in the Donetsk and Lugansk Regions of Ukraine as “astonishing in its incompetence,” TASS reported. On Wednesday, US State Department spokeswoman Marie Harf said that it’s currently “the highest amount of Russian air defense equipment in eastern Ukraine since August,” without providing any evidence to substantiate the claim. Konashenkov explained that Harf’s statement was just an attempt to “warm up” the general public ahead of the NATO summit, scheduled to take place in Antalya, Turkey on May 13-14. The spokesman added that the international community should be more concerned with the US troops training Ukraine’s National Guard now conduct battle in urban environments. “But it’s not happening at the Yavorov training site in the Lvov Region [in western Ukraine] as reported by Ukrainian TV, but directly in the combat zone near Mariupol, Severodonetsk, Artyomovsk and Volnovakha,” he said. As for Russian or any other air defense units, their presence in eastern Ukraine would be useless, as even the Kiev authorities publicly acknowledged that they haven’t been using aviation in their military operation in the east since August, Konashenkov said. “Especially, since we all know, that there’s hardly any aircraft left in the Armed Forces of Ukraine,” he added. According to the spokesman, it’s very difficult to predict what other accusations against the Russian military might be invented by US officials. The Defense Ministry “won’t be surprised if it gets blamed for deploying a carrier strike group in the Lugansk Region or illegal entry of a Russian nuclear submarine in the main city pond of Donetsk,” he said. Hilary (eat me) Clinton resposible for Ukraine kill list? For the third day in a row, militants form the Right Sector (Pravy Sektor) party rallied in Kiev to demand the resignation of key government officials, including the Military Prosecutor Anatoly Matios and Prime Minister Arseniy Yatsenyuk, Thursday. About two and a half thousand Ukrainians surrounded the US embassy in Kiev on the first of April. 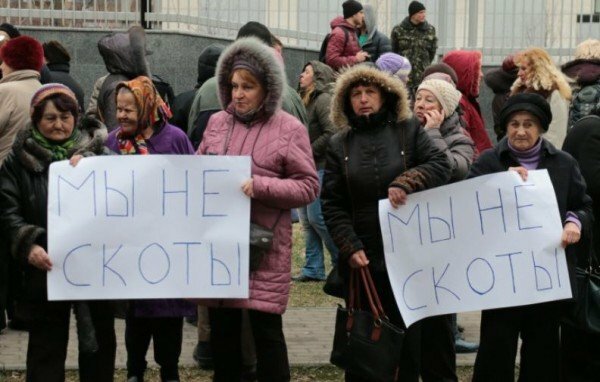 People who disagree with the appointment of foreigners to the Ukrainian government, as well as the intervention of the Americans and Europeans in the public administration of the country, holding banners saying “We are not cattle!” And they made sounds imitating animals. Besides the protesters braying and bleating, they were eating cabbage, which was distributed by the organizers of the protest. They also kept two-meter carrots with the symbols of the European Union. By the end of the demonstration of dissent Kiev residents pelted the US embassy with manure. It is noteworthy that the video from the protest was removed from all the Ukrainian sites and users were blocked. Local journalists hardly covered the event. Lugansk students invite everybody from around the world to visit and see everything for themselves. SPREAD THIS FAR AND WIDE – IT WILL MAKE A DIFFERENCE! Ukraine’s parliament has passed a law which authorizes commanding officers to use physical force against army defectors. It comes as the latest military draft has seen a lack of enthusiasm on the part of potential soldiers. 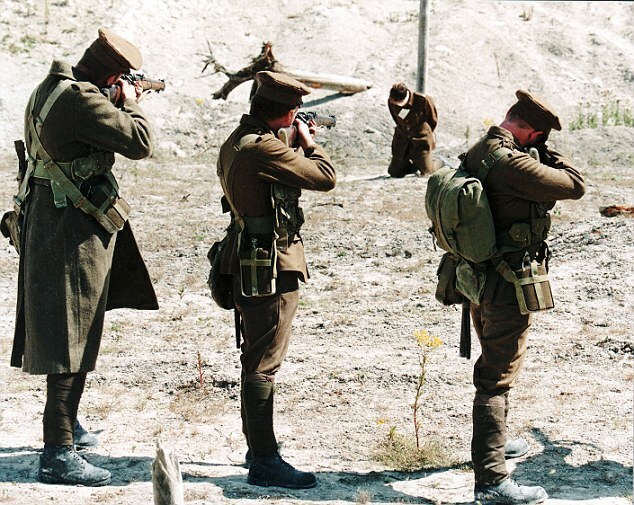 It was expected to see 100,000 people joining the army in three stages throughout the year. However, the country’s Defense Ministry said on January 31 that nearly 7,500 Ukrainians are already facing criminal charges for evading military service.